There are plans to rewrite again in Python but that’s besides the point and not what this post is about. I’ve been a long time user of Digital Ocean. For the past 1.5 years, I’ve never really had any problems with regards to their service except for one thing: Their $5 tier offering (yes, I’m cheap). on a 512MB server would’ve surely encountered the dreaded “Out of memory” error. The primary solution to this is to not be a cheapskate and pay more to increase the machine’s memory to >= 1GB. There are other no-money-involved alternatives such as adding a swap file but isn’t recommended if you’re using SSDs (which everyone should be using by now). But LA, your argument is invalid since you can dynamically change the memory of a machine temporarily while installing dependencies and then switch back. See that $5 tier? That’s double the RAM and 5GB more SSD space when compared to Digital Ocean! 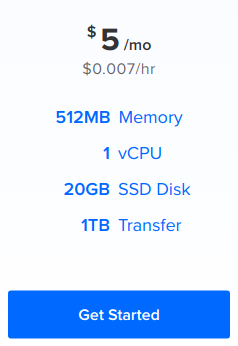 (Digital Ocean’s $5 tier is just Vultr’s $2.50 tier). 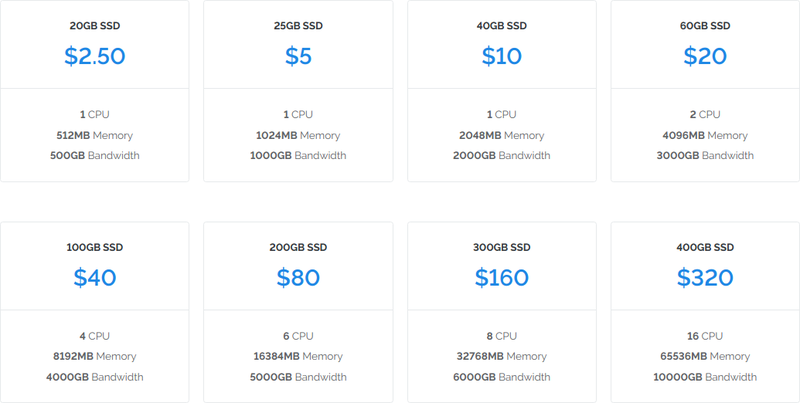 I know it’s unfair to compare VPS providers by just specs alone which is why I’m trialing Vultr as a potential substitute to Digital Ocean first. I won’t be moving away just yet. Before you ask, yes, I’ve looked into Linode as well but backed off since I’m planning on Terraforming my stack (finally) and failed to find any active Linode Provider. There is hope for a stable Vultr Provider though. I’d still recommend Digital Ocean for developers out there. My experience was smooth sailing since Day 1 and I never encountered anything weird with respect to their services. They really stick to their slogan “Cloud computing, designed for developers”. If you want to give Digital Ocean a try, you can sign up using my affiliate link and get $10 for free!